Mark out a 10m x 4m area with three cones spaced 2m apart on one long side and two cones spaced 3m apart on the opposite side. Put a feeder and two attackers on the corner next to the side with two cones. Put three defenders on the adjacent corner on the side where there are three cones. When you say “go”, the two attackers run to the cones on their side and defenders run to the cones on their side. As soon as the attackers have reached the cones, the feeder passes the ball to the attackers who aim to score on the opposite side. 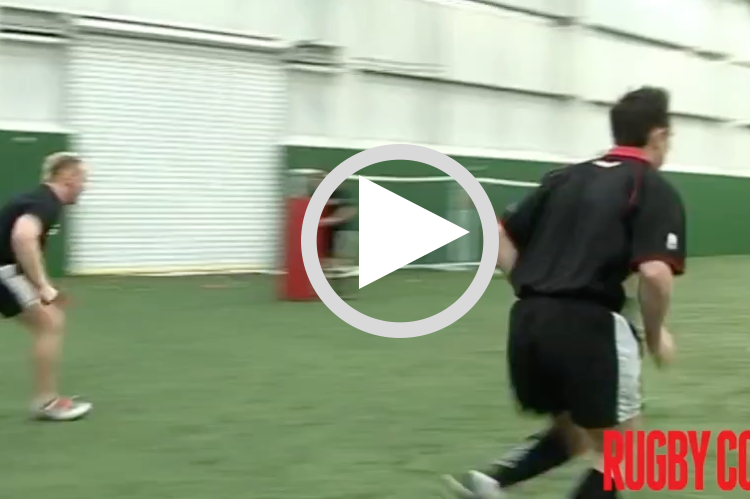 Defenders have to come forward and make a tackle, either individually or in pairs. Develop by removing the cones. Then take away one of the defenders. 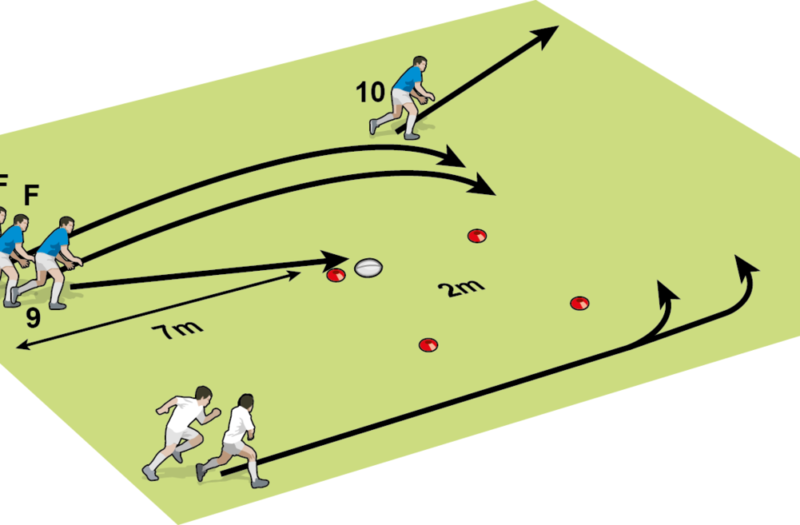 This is a dynamic game so you can have players queuing to take their turn, or run another game alongside.